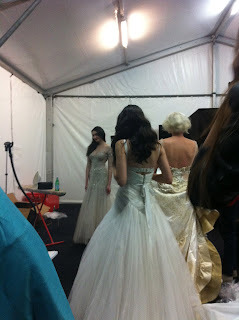 As apart of my internship with a Brisbane stylist and editor I spent most of my time backstage at MBFF dressing models. The even was hosted outside the Treasury Casino and ran from the 25th to the 31st of August. Due to the frantic pace backstage it was an imposible setting to get any photo ups. I did manage however to snag a few backstage photos. 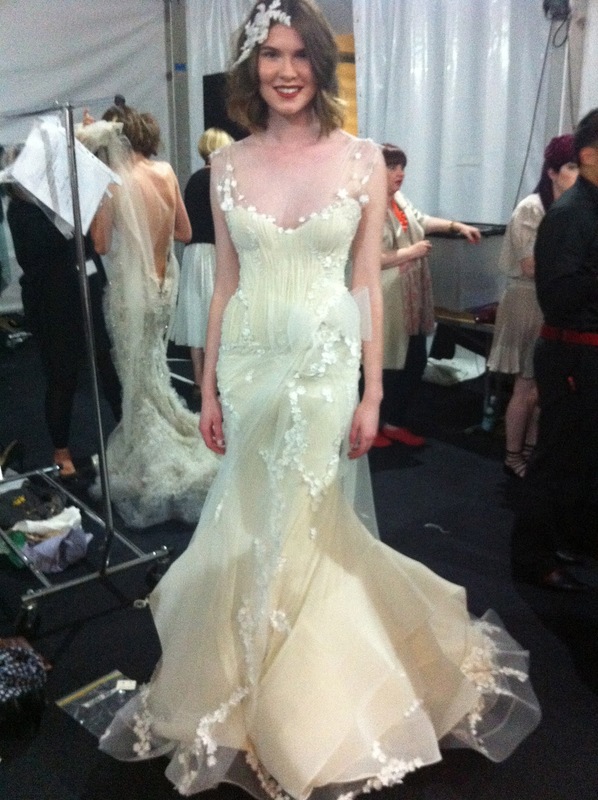 The first lot of photos are from The Sunday Mails couture show and all the amazing gowns are from the lovely ladies at MXM Couture. 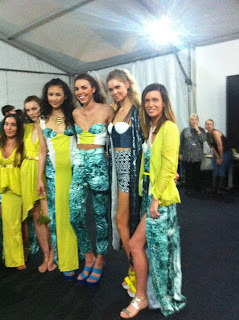 The second round are from the Emerging designers show that was held on Thursday night and the colourful creations are from Ash to Gold. It's nice for me to be have these photos because apart from my access card, a few bruises and some new muscles they are my only momentos from the festival. To be honest with the long hours and rushing around the rest of the week is an ascetically pleasing blur of various models and designer.